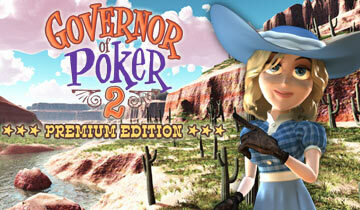 The fun part of Governor of Poker 2 is that you earn your money by winning poker tournaments. When the game begins you enter your name and choose your gender. Then youll be placed in a small town where you can roam freely, traveling from house to house. You can click on a house to view its price and other information. Every time you buy a house your reputation meter will rise. The reputation meter is located in the bottom right corner of the screen. Once you buy all of the houses within a town you can move to the next town and try to conquer it in the same fashion. The exclamation marks scattered around the town represent poker tournaments. 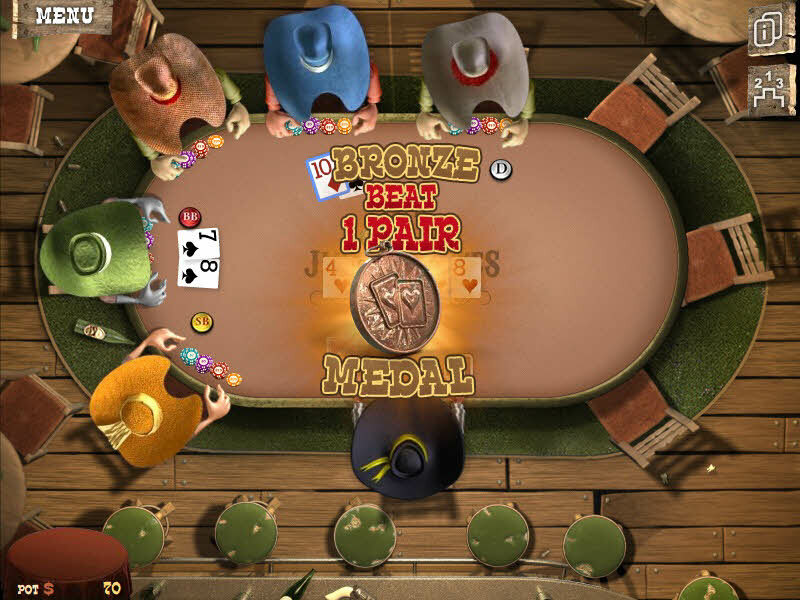 You can join a tournament in Governor of Poker 2 by clicking on one of the exclamation marks and then click yes when asked if youd like to join. Make sure you take a look at how much the entering cost for each tournament is before starting. You may need to finish a smaller tournament before progressing to the larger ones. 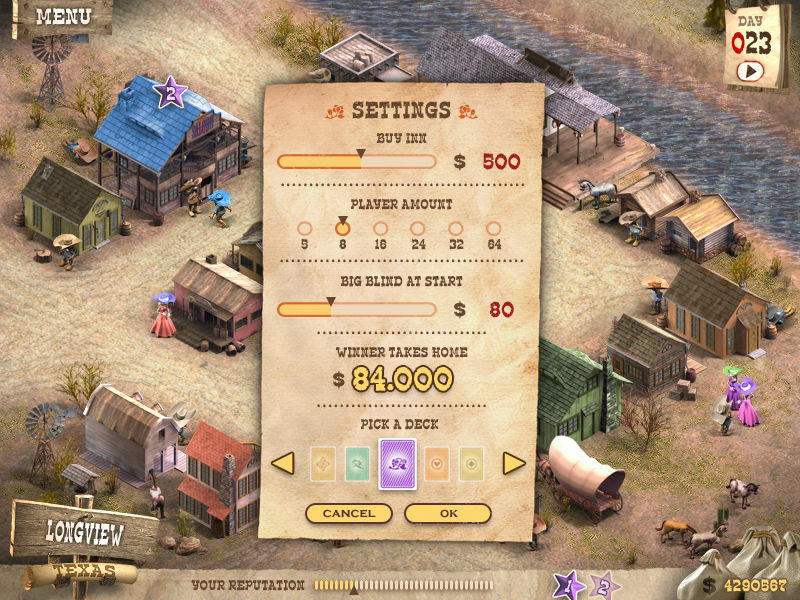 Prioritizing is a big part of conquering towns in Governor of Poker 2. Что за ? тут покер только открытый? Да покерстар рулит, эти мультики мутные какие то!! !